Sometimes solutions are so out of view/comprehension, that the suggestion that someone will help seems barely reasonable. In real life AS WELL as when being controlled by a psychopathic killing nanobot arm. @Peter Rogan: Well, they met. You want to start the timer? Sooner or later this would happen when Mauricio decides he wants to die. 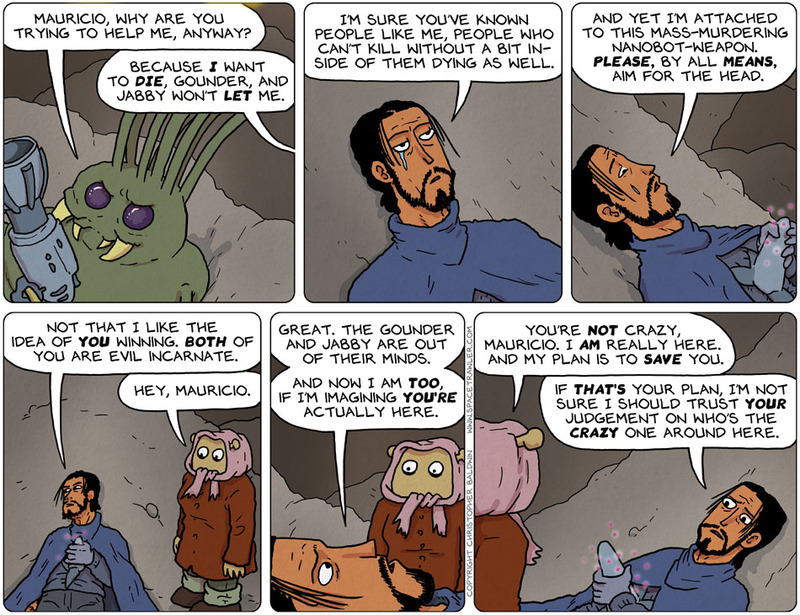 Only Jabby keeps him alive and insinuates itself deeper into him. Too bad they didn’t find a psychopath, he or she wouldn’t be having this psychological problem. But then they don’t get PTSD either. We also don’t want the bad guy to win either by default. We have no more time left.